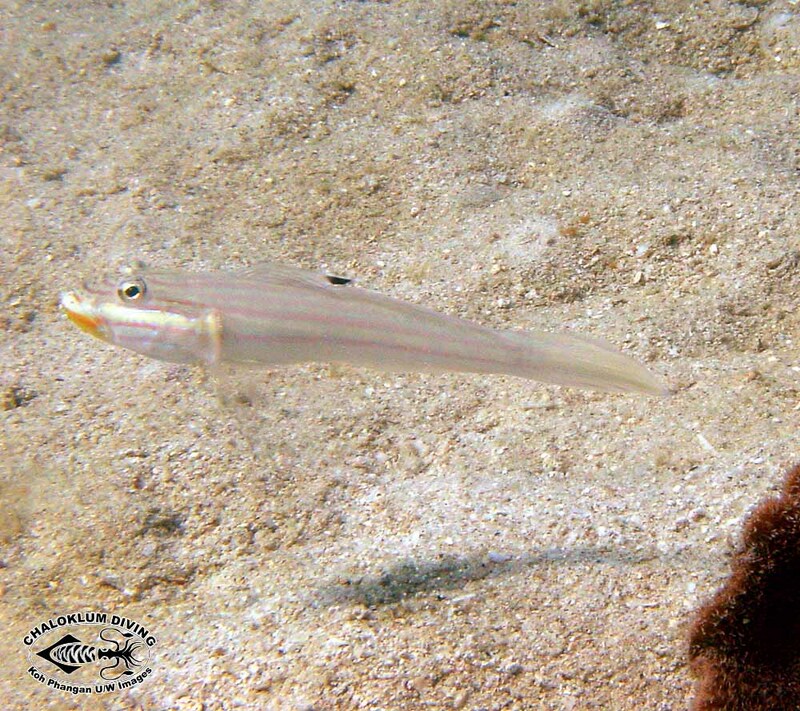 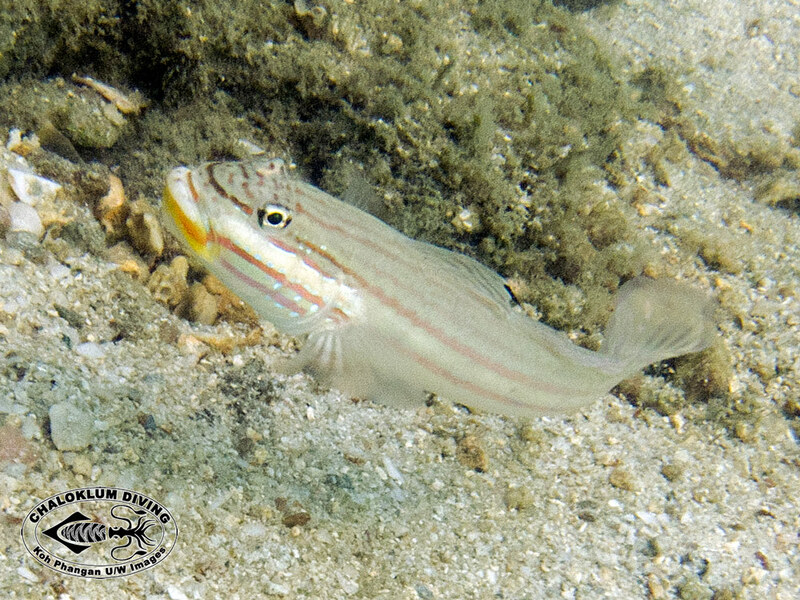 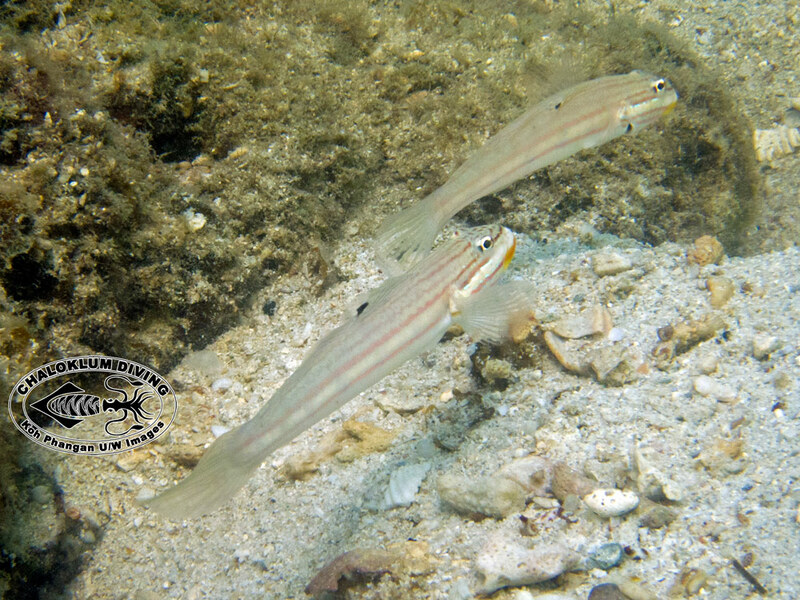 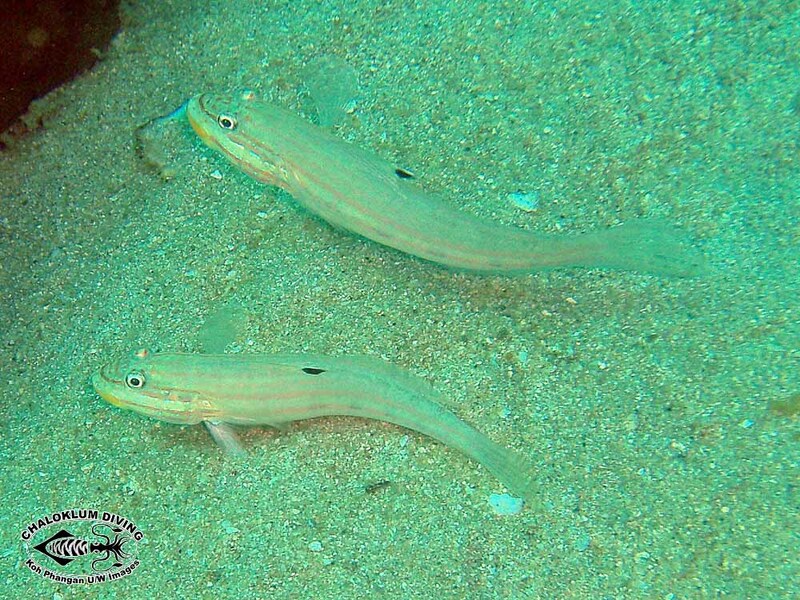 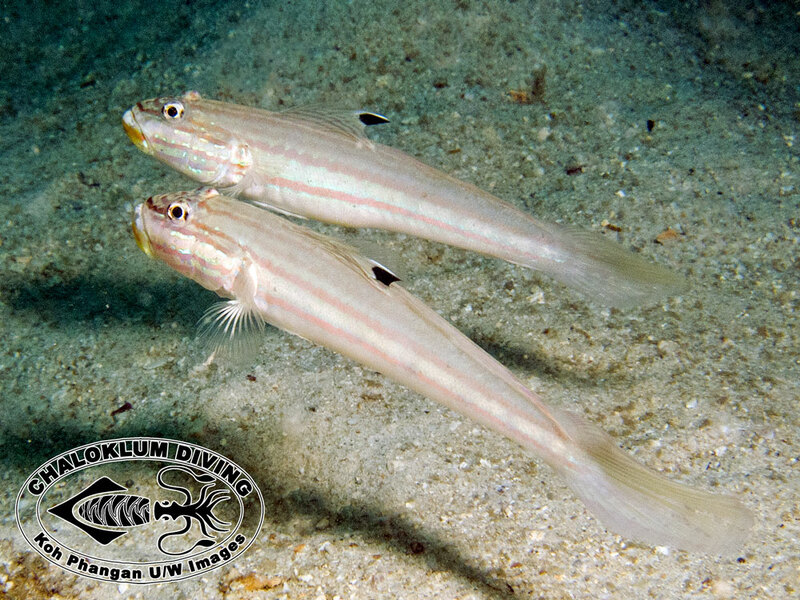 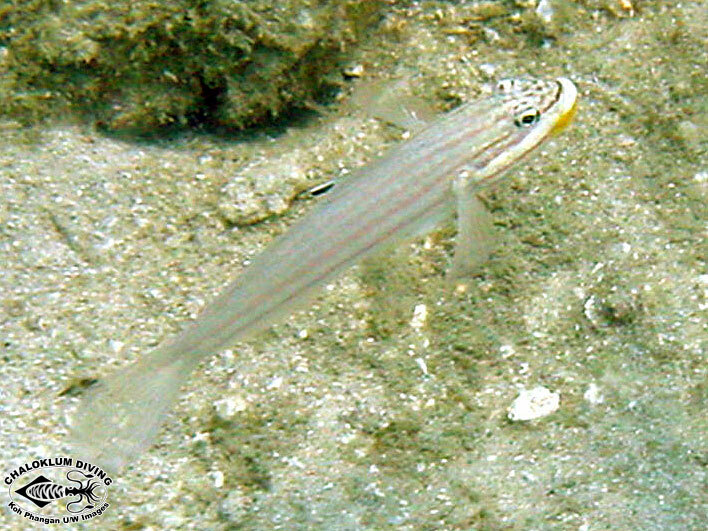 You are likely to see the Striped Goby on scuba dives over the sand, next to a coral reef. 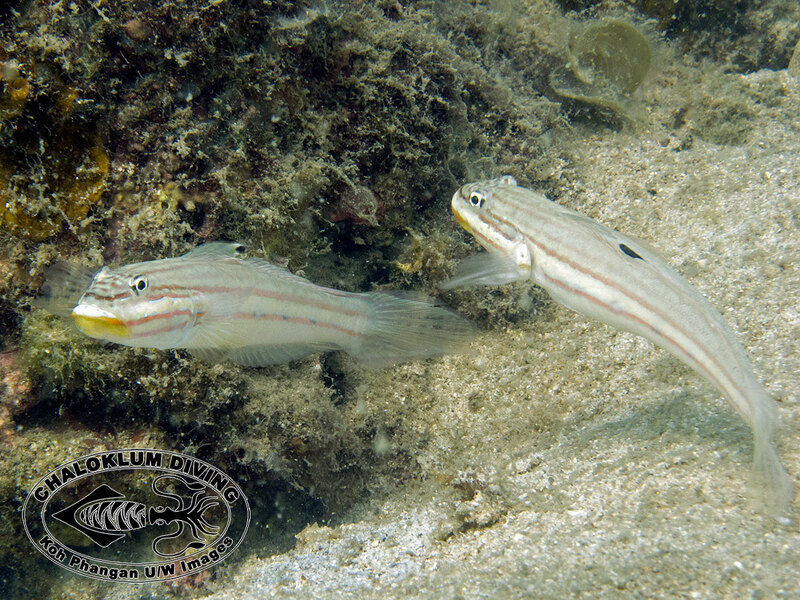 Up to now we’ve only spotted them at Koh Phangan dive sites. 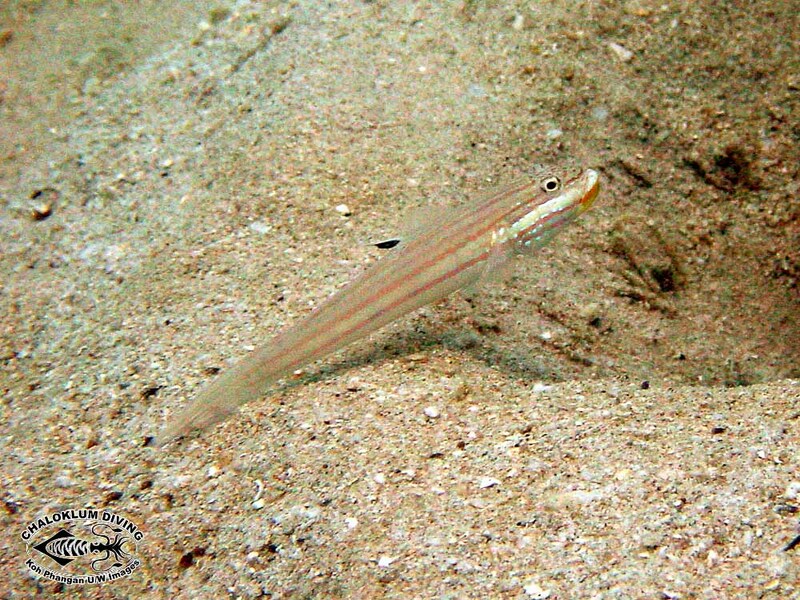 They are easily confused with the fairly similar looking Pyjama Goby.